Great exposure. 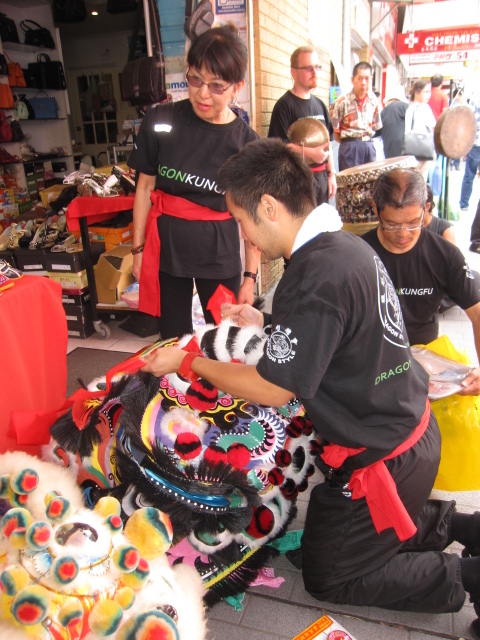 Hopefully, more people will be inspired and inclined to try their hand at making a lion, or to start repairing their old ones. 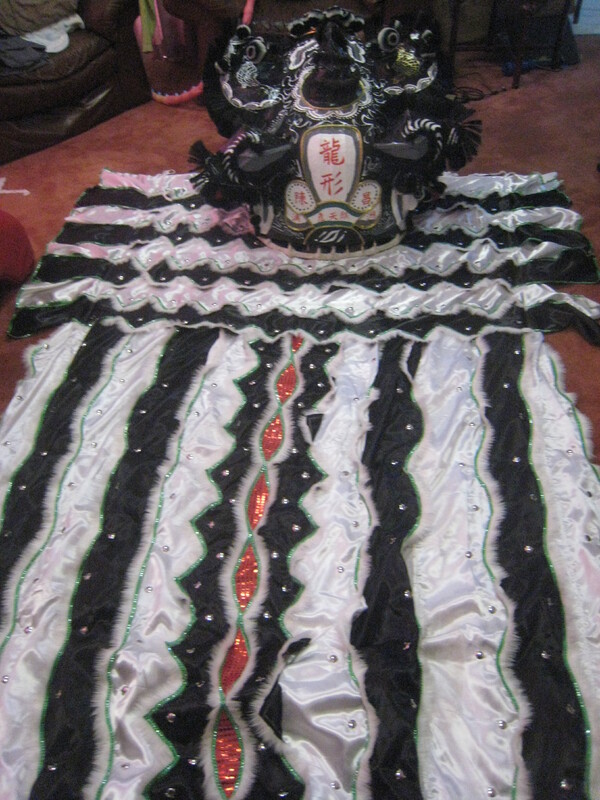 I’m finally done and dusted with the Choi Sik Guan Gong lion (rainbow lion). So where to now? 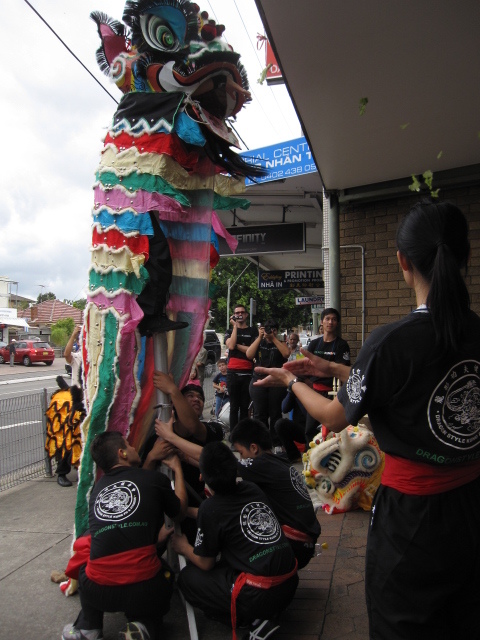 I’ve decided to use this blog to document all my other little projects that I do relating to lion dancing and lion heads and to the lion dancing scene in Sydney (from my miniscule perspective). Just check the My Other Projects tab in the menu for updates. I’ve got a couple of projects lined up already. 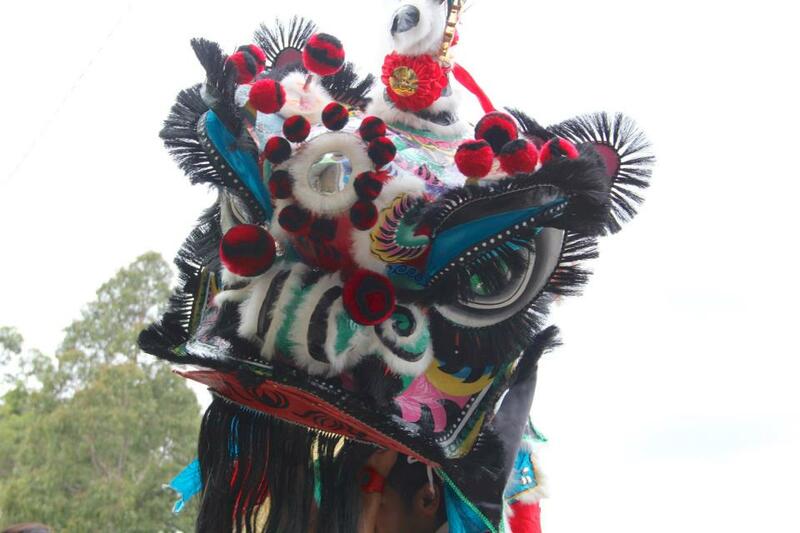 – There’s two more lion heads from the Dragon Style School that have taken a heck of a beating. 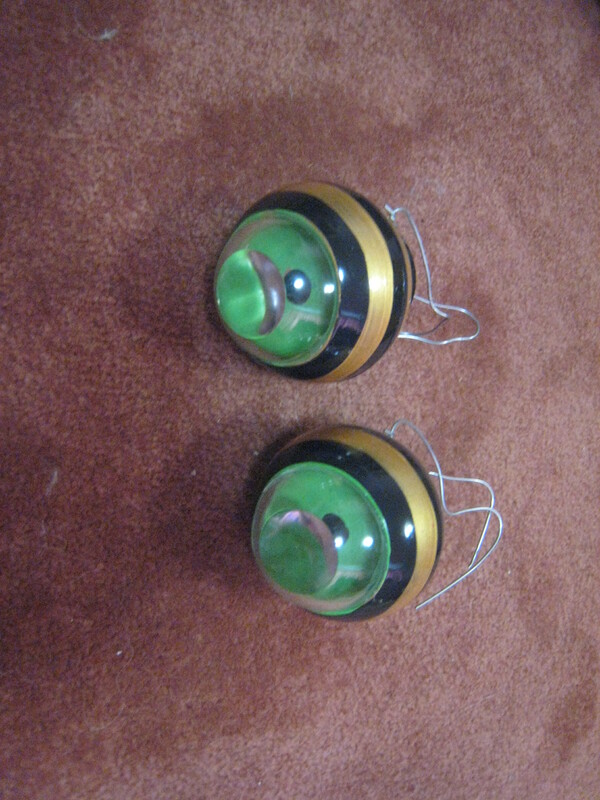 Outwardly they still look good, but I’ve had a good inspection of them both and they’ll need a fair bit of work. One’s a Liu Bei and the other is a Zhang Fei. They’ll be a good start. – I’m keen on making a golden/bronze/ orange coloured lion head, not too dissimilar to the Golden lion that Yun Fook Tong used in that 1986 lion king competition. 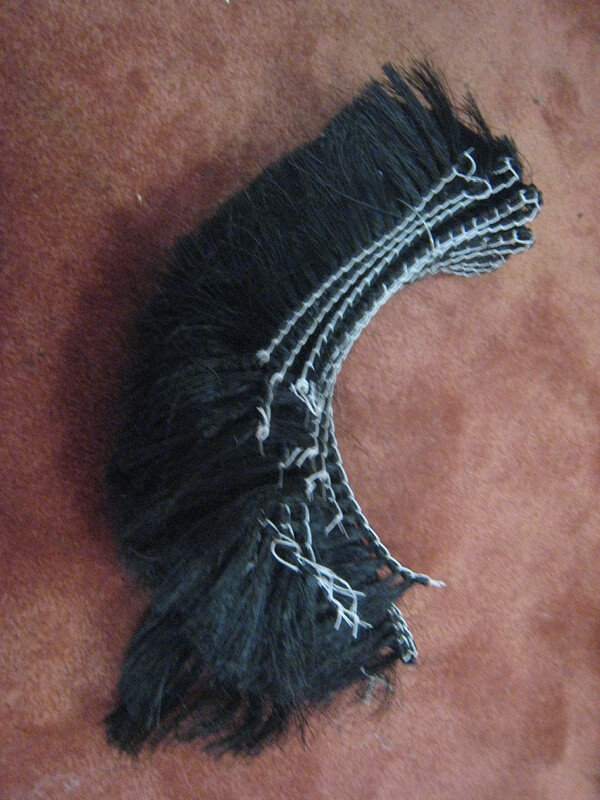 – I also have another rainbow lion tail sitting around which needs a head to attach itself to so maybe a fresh faced Liu Bei lion head at some point. – My kung fu Senior in Hong Kong has also been kind enough to save me another battered lion head from a charcoal ending so I can see it out to its former glory. (I don’t know how I’m going to actually fix him especially with the lion being an 8 hour flight away. Maybe I’ll carry him home on my next visit that way). To kick things off. 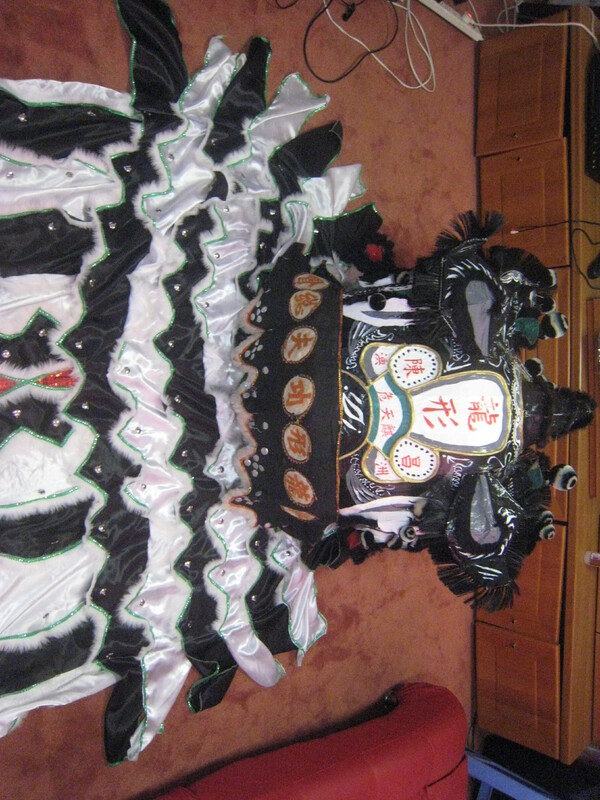 I’m going to take you back in time to the the old black and white Zhang Fei head that I restored a few years back. Zoe’s had a look at it and isn’t too impressed with my shaky paint job so she’s decided that she’ll give him a one over to sharpen him up. She’s still in the process of doing so. I’ve also ordered a black and white tail for him and it’s arrived so here is the complete lion minus a second coat of painted love from Zoe. Here it is! After two long years (and a more frenetic final few weeks) the lion that Zoe and I have been working on is not only finished but is finally “AWOKEN”!! It was a slow start with periods of times where the lion’s frame was tucked away in storage, or hanging up on the wall collecting dust but there has been periods of times where I would find myself with some spare time to work on it. As I like to think, slow progress is better than no progress and slowly and eventually in front of my eyes, I was able to turn bits of wood, bamboo, rattan, wool, metal wires, paper and every other material that I needed into a working, functioning lion head! I was lucky enough to recruit Zoe to help with the whole painting process as she has a steadier hand 😉 and a much greater attention to finer detail. We both had an enjoyable time watching Lion vs Lion a thousand times (she’s probably sick of the movie now) and trying to sketch out the design. For the parts that we couldn’t figure out, we had an equally fun time coming up with our own design patterns based off other lions we’ve seen and studied. It was a shame to have to add the bristle fur on as it masked a bit of the paint job, but on the other hand, it did give it a nice border and made the lion complete. 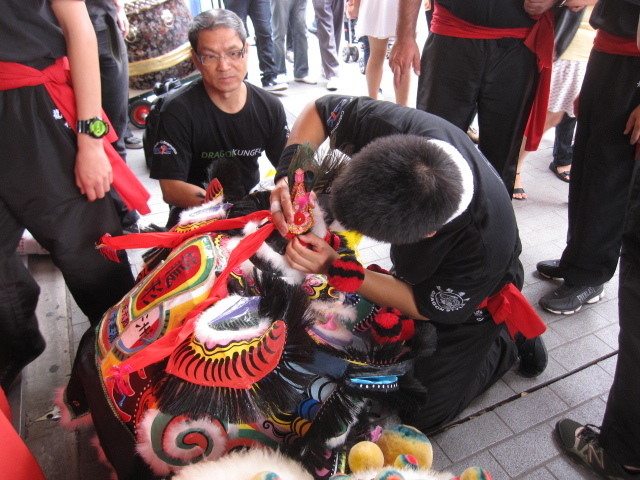 One of the best things about going through the whole process is paying attention to all the small yet important details that the professional lion head makers have put into their work. I have come to appreciate the various painting patterns and styles that different artists use, as well as the various shapes and styles of lion heads. 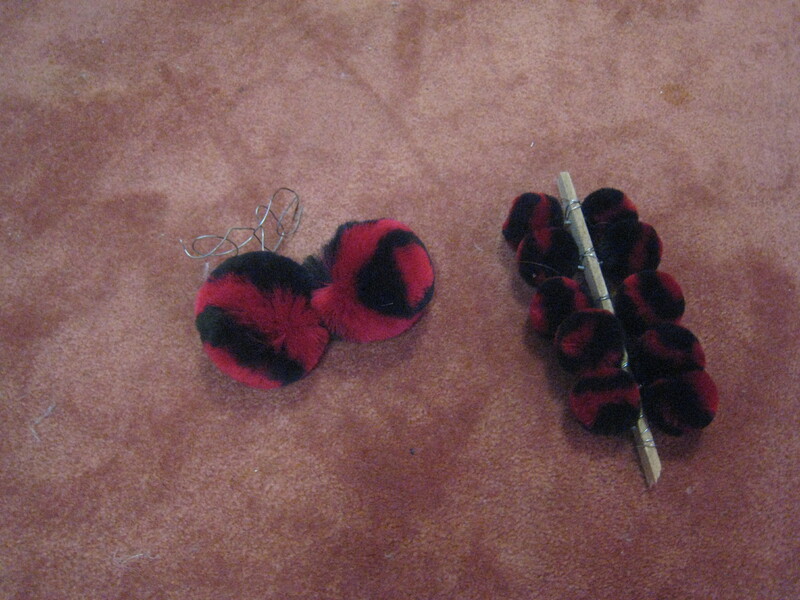 Even small things like the triggers for the eye lids and ears aren’t left unturned. We poured through hundreds of pictures of “old” lion heads and pictures of more “modern” lion heads to get inspiration and have both developed a sense of appreciation of the masters of old and new. I think in the end, the lion that we’ve made and painted lives true to what we wanted- a Choi Sik Guan Gong lion head, painted with a more “traditional” appearance. The piece was initially planned as more of an artistic work rather than one that was to be actually used for performances. But as the lion started coming together, we thought it would be a big waste if such a thing was relegated to sitting in a box (until we have our own home to display it), and we decided that it would be great to show it off to the world and to let the local people see a “different” (vibrant colours, bristle fur, longer colourful tails with the sausage tail) type of lion head that is not often see nowadays. 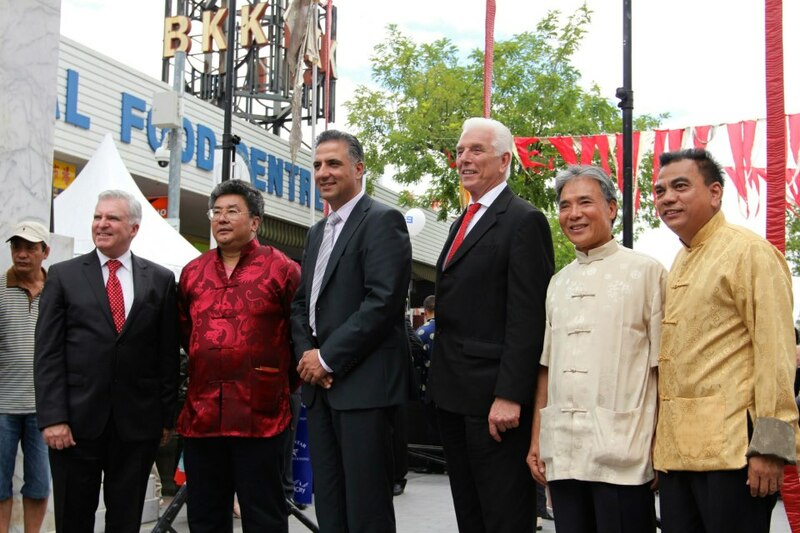 The big day of the hoi gong ceremony was to be the 17/02/2013- Freedom Plaza Cabramatta at midday. 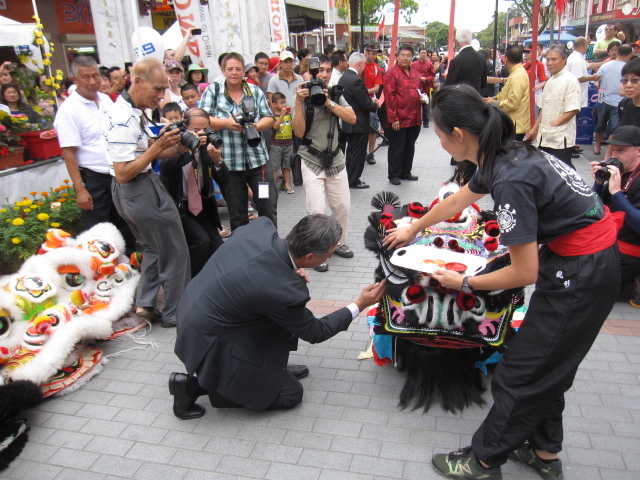 To be dotted by the Mayor of Cabramatta in front of the public, distinguished guests, and other lion teams. I think the reception of the lion was well received. 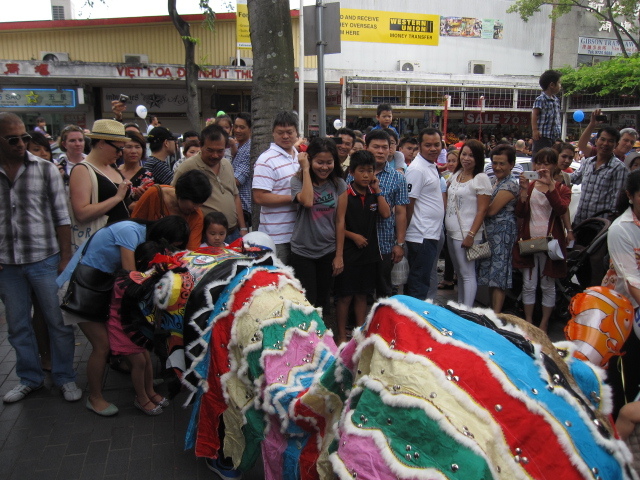 Many people were commenting at how fierce the lion looked and many enjoyed the colourful artwork on the top of the lion as well as its back. 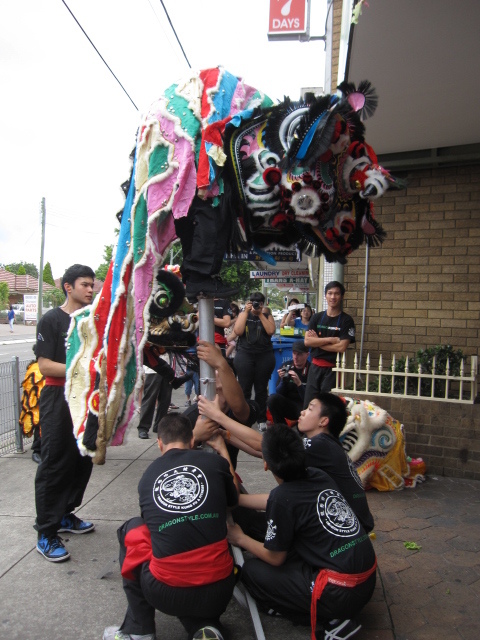 The tail, in all its colourful 11ft glory was also well received as a multicoloured tail has not been seen in Cabramatta in a long time. 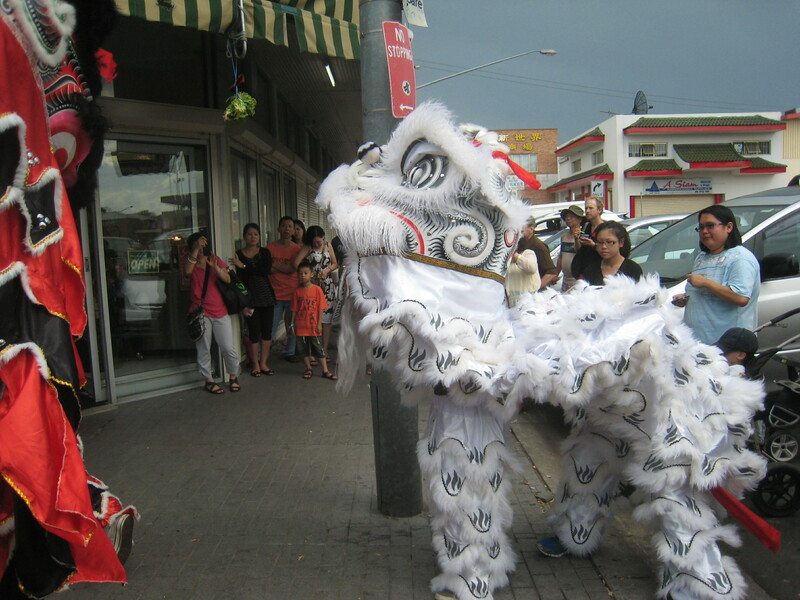 Following the eye dotting ceremony, it was onto more street and shop performances where our lion was able to parade around the streets of Cabramatta and savor its first meal. As I mentioned earlier, I initially did not intend the lion to be used for performances so I did not take weight into consideration. The lion head ended up weighing 5.5kg with an extra 1kg for the tail. After half an hour, I think everyone had burned their energy reserves from the previous full day of lion dancing so it was time to rest our weary arms and to let our lion have a bit of a break. Without further ado, here are a few pictures of the day. 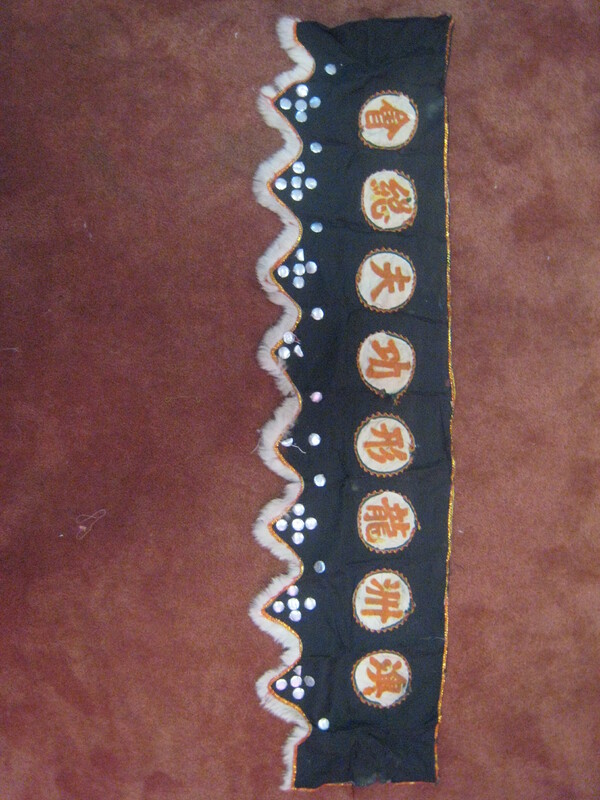 Happy Chinese New Year of the Snake to everyone! I hope everyone had a joyous fun-filled Chinese New Year filled with lots of family, good food, laughter, and red packets! For those of you who were involved with performances to celebrate the occasion, I hope all your hard work with training and preparations paid off and everyone had a good time with no mishaps. For those of you who watched all the great performances, I hope you take away lasting memories and remember that many of these people put in blood, sweat and tears into getting everything right for the show. Being in Sydney, there have been plenty of celebrations everywhere! 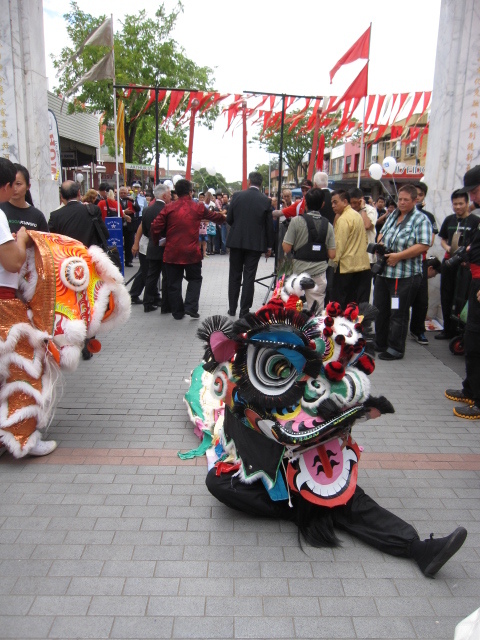 Of course, my home town of Cabramatta has been buzzing with activity since Chinese New Year Eve. 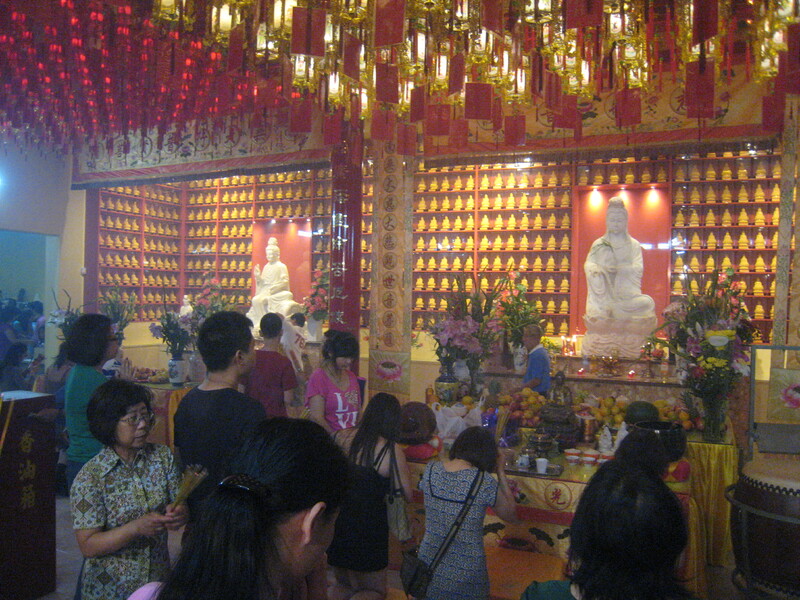 The smell and smoke of incense has burned my eyes as families pay their respects to the deities and wish for a healthy and prosperous new year. 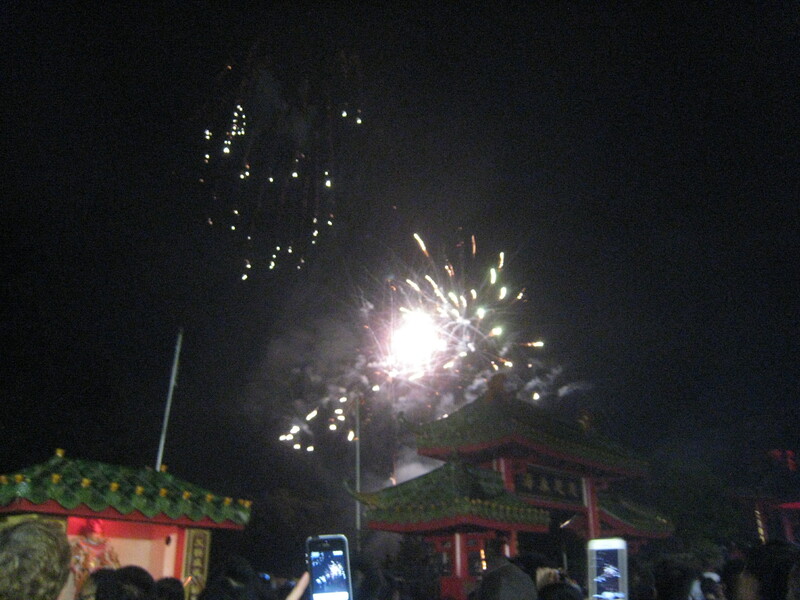 There were plenty of lions and firecrackers to be heard across the larger Chinese and Vietnamese temples and fireworks to keep the noise going. 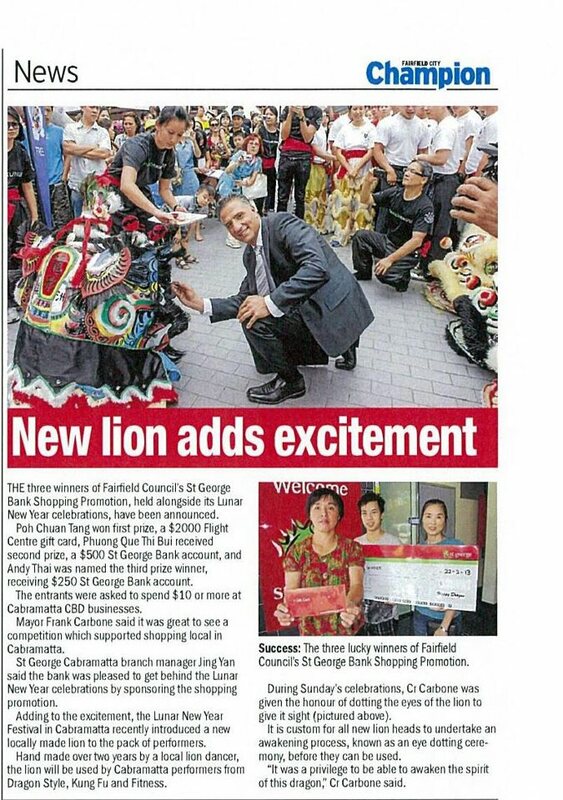 This is a link to a clip I put up on youtube featuring some local lion dancers at the above temple. 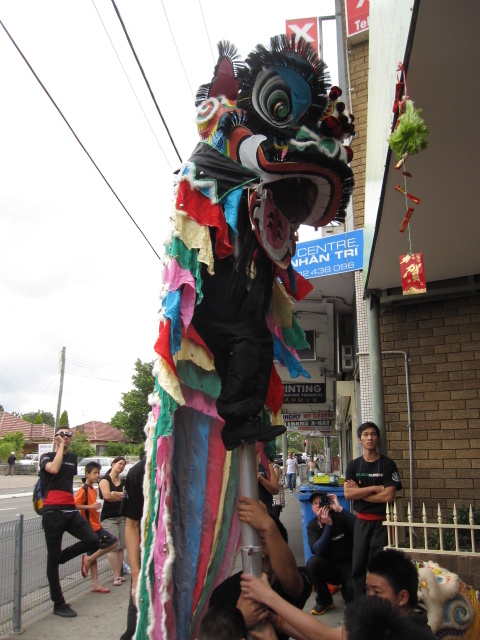 Then there has literally been non-stop lion dancing and firecrackers around the streets of Cabramatta as teams of lions scare away evil spirits and bless the shops with good fortune. 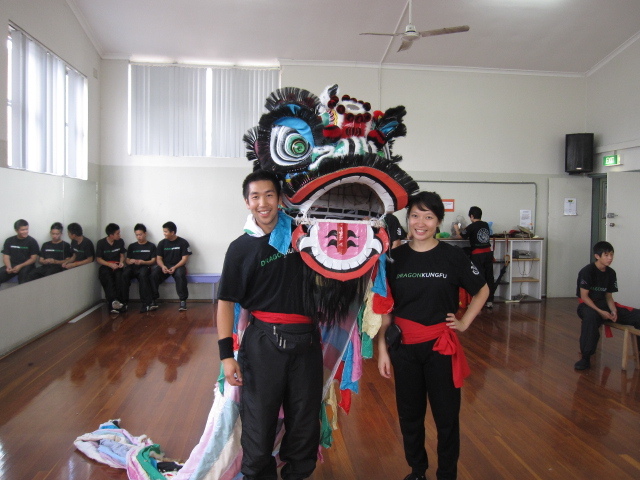 Our team, the Dragon Style Kung Fu and Fitness Association had an awesome two days of lion dancing on the 16th and 17th of February. For a team that consisted of only five people who had previous lion dancing experience and the remaining 15 people with no experience whatsoever I think we did an incredible job. There was a plethora of other teams on show those few days including Yun Yee Tong, Sydney Indochinese Youth Sports Association, Wu Chu Association, and Dong Tam. I hope those guys had a great time. 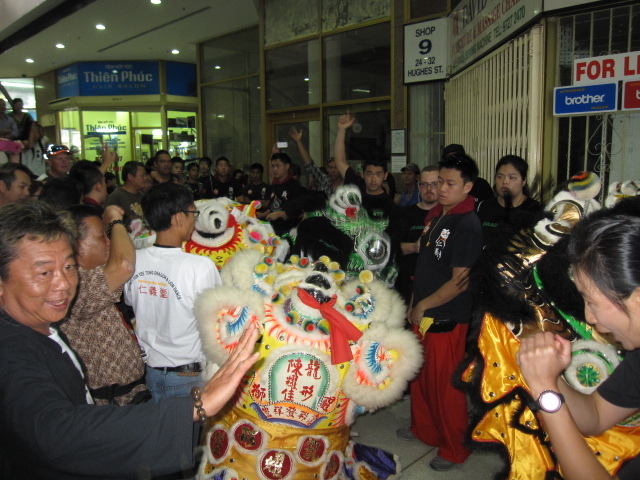 It was inevitable that teams would bump into each other while dancing and we had a “Wui Si” (meeting of lions) with Sydney Yun Yee Tong on one of those days. A great spectacle to watch by all those who attended. Look what we found! 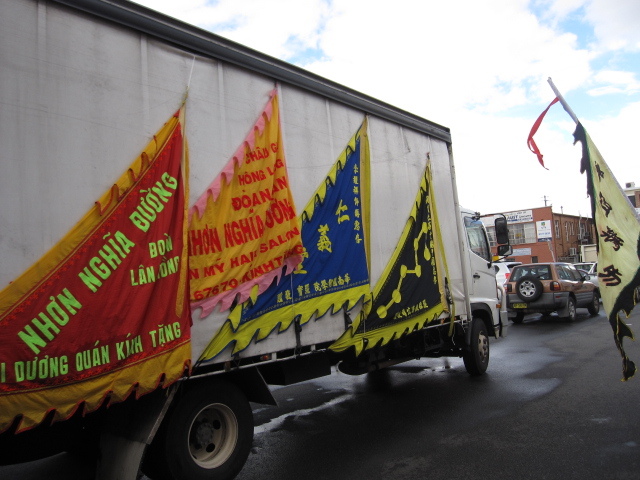 Walking past Yun Yee Tong’s truck! Meeting of the two teams. I’m sure there are some better photos/video footage so I’ll try to dig some out and post it up. 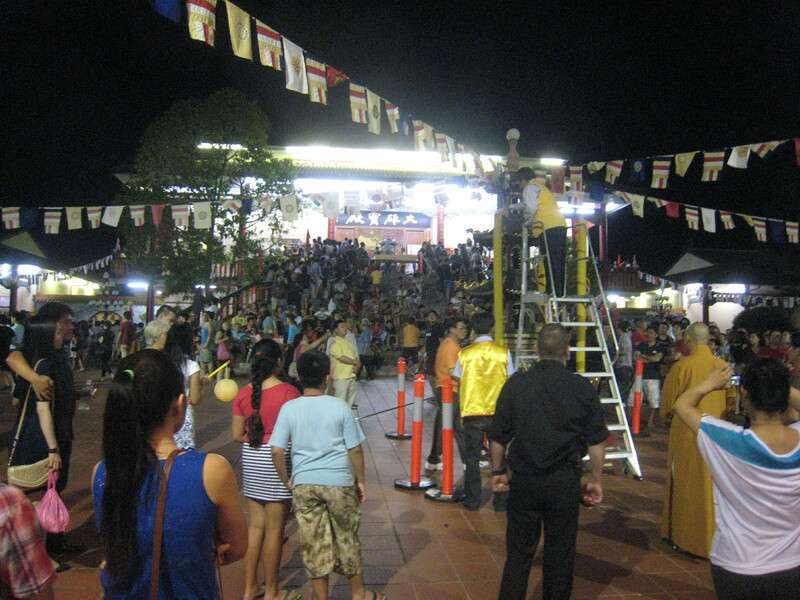 Actually the celebrations started one week earlier at Fairfield Showground where the annual Cho Tet celebrations are held by the Vietnamese Australian Community to welcome in the Lunar New Year. Unfortunately, the rain didn’t do any favours but the appearance of Prime Minister Julia Gillard alongside the Leader of Opposition Tony Abbot showed how important the festival was. Again lots of lions, firecrackers, singing, and heaps and heaps of food! 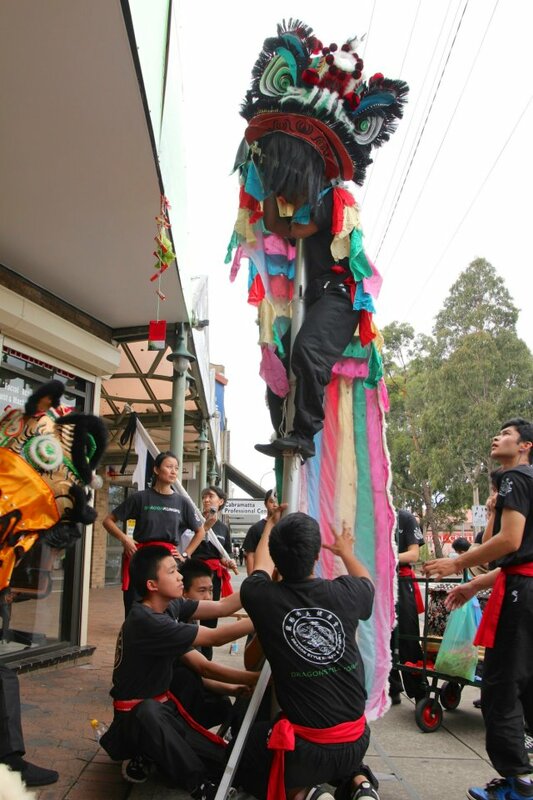 The celebrations continued across Sydney with celebrations in Chinatown, Cabramatta, Canley Vale, Canley Heights, Bankstown, Campsie, Hurstville, Chatswood, (soon to be Eastwood coming weekend). There was the annual City of Sydney Twilight Parade featuring thousands of performers and including a massive dragon, a massive lion, and an awesome massive helium balloon dragon!!!!!! 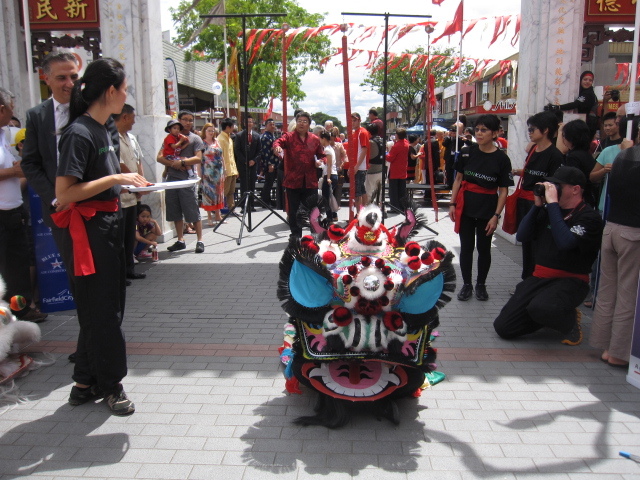 The dragon’s head is raised by a large helium balloon. 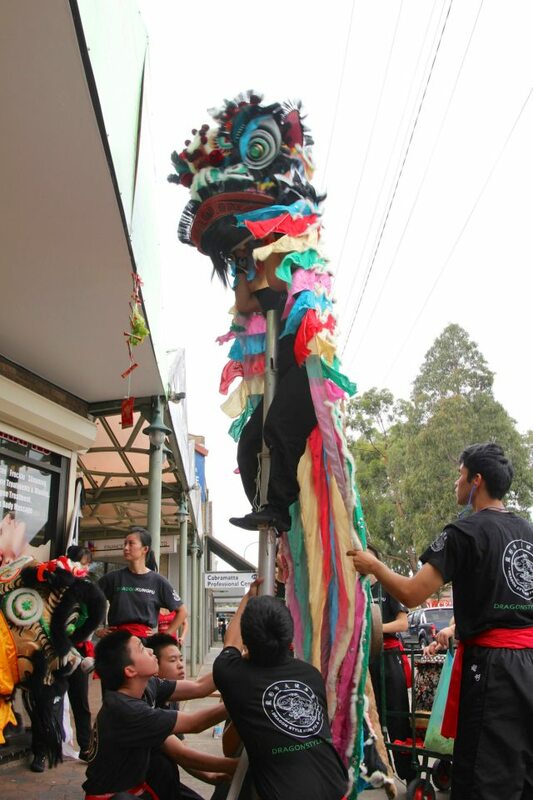 Huge lion; it needed up to 6 people to carry just the head. The celebrations aren’t over yet! 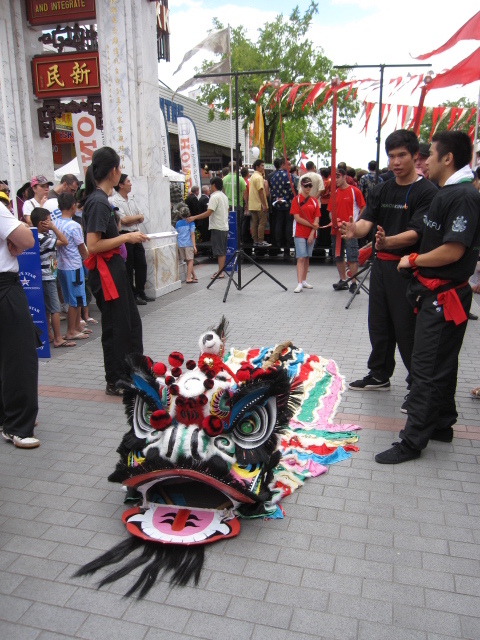 There are still performances to come in Eastwood this coming weekend the 23/2/2013 as well as lion dancing in Chinatown and Dragon Boat racing. I’m so excited. I feel like a kid on Christmas eager to open up my present! Finally, my parcel has arrived!!! 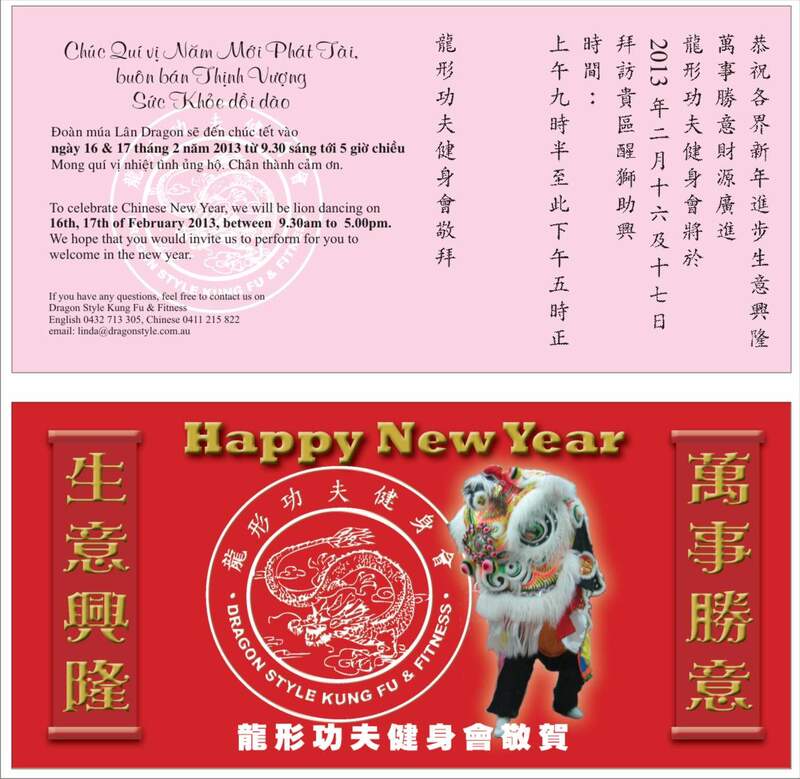 Just in time for our CNY performances this coming weekend. I have pushed and pushed for it to be sent and finally had it speedily expressed post. 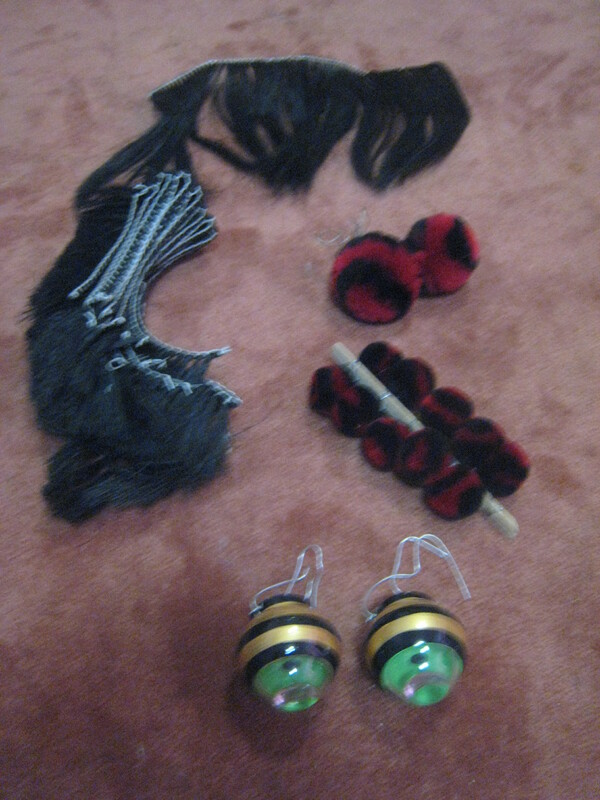 I ordered a few parts, mainly, a set of pom poms, a set of bristle fur and a beard and a pair of eyes. They were the only thing that was missing to make this lion complete. 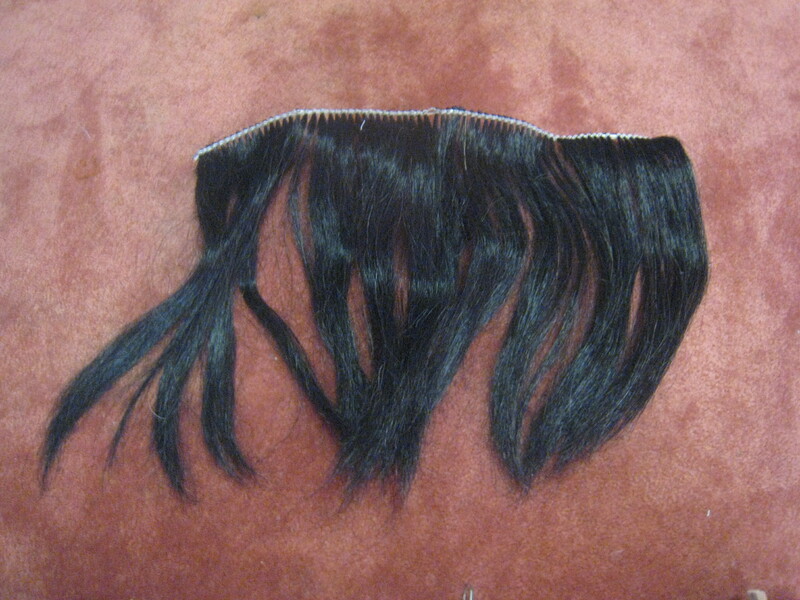 I’ll be busily putting it all together now for the big day. 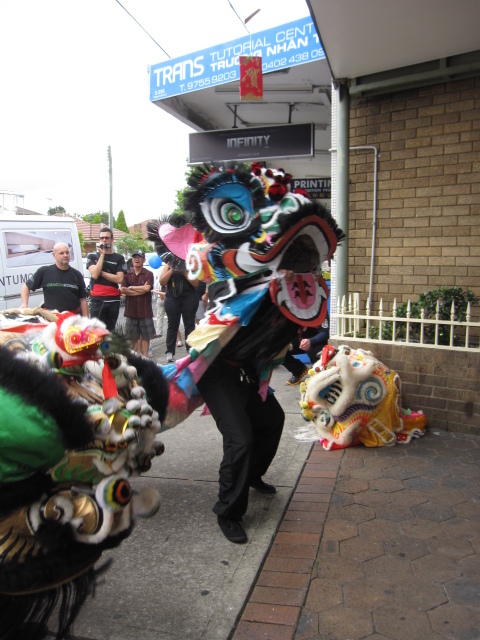 I have fond childhood memories of rushing down to streets of Cabramatta to catch a glimpse of the lions dance around shaking and dancing and thrusting themselves about. Nothing has changed then and now. 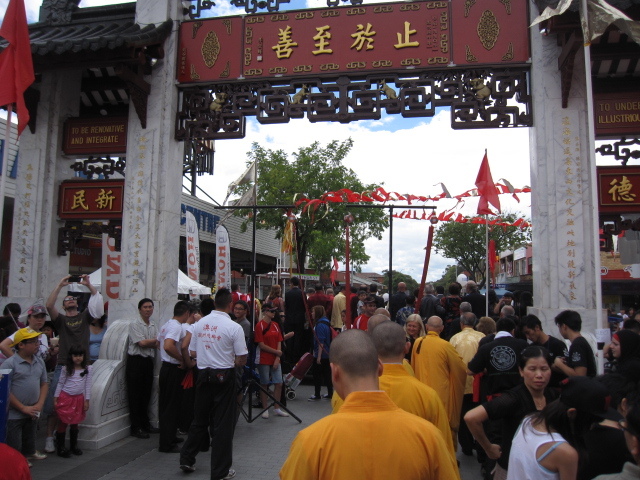 I still find myself rushing out to the streets of Cabramatta trying to catch a glimpse of the lions and the explosion of firecrackers. The only difference now is, in under a week, I’ll be able to participate in that head shaking myself and I’ll be the one who will dance with the popping of firecrackers. 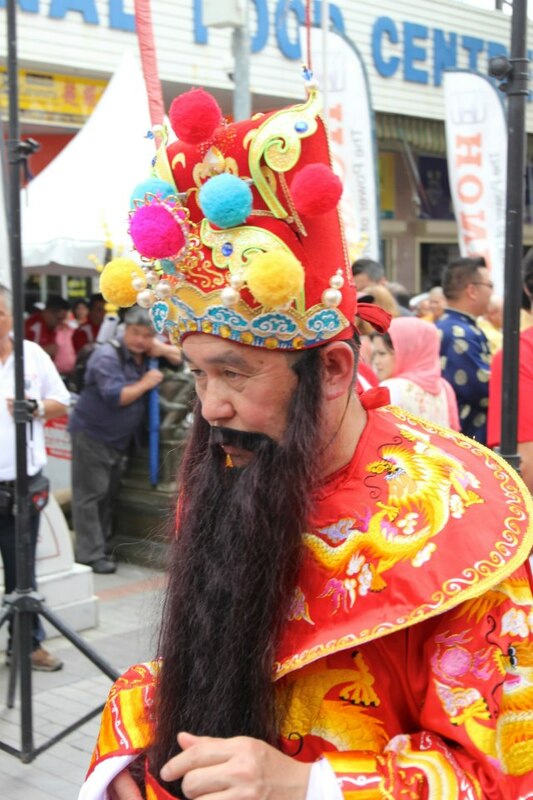 Hope everyone is enjoying the 2013 Chinese New Year festivities as much as I have so far. Ps. come catch us perform this coming Saturday and Sunday the 16 and 17 of February. 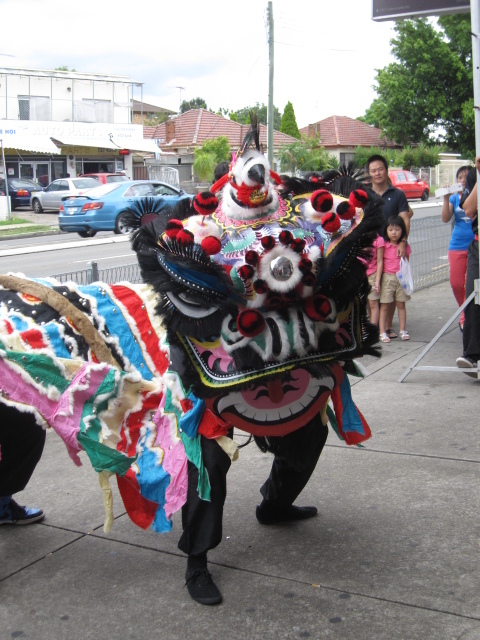 We’ll be dancing around the streets of Cabramatta. Dragon Style Kung Fu and Fitness. We’ll be wearing black shirts with our logo on the back. 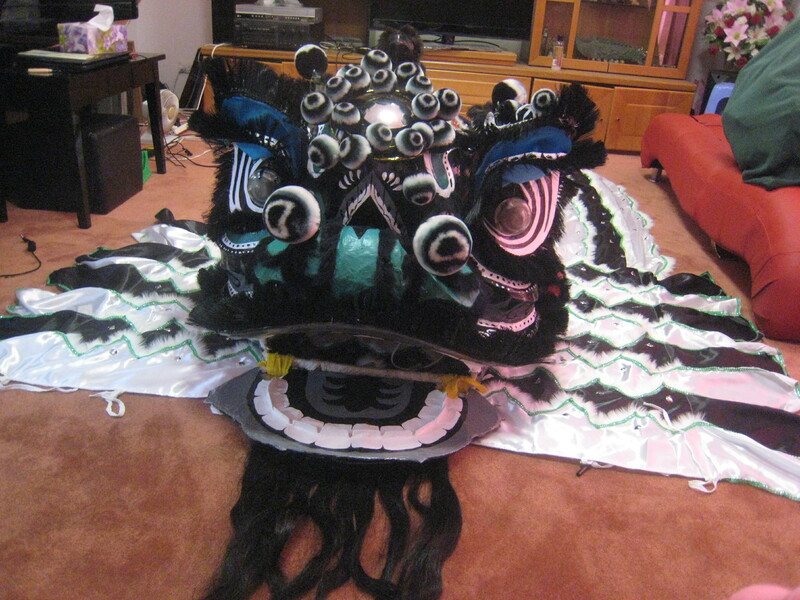 This is the story of how I constructed my rainbow lion head from start to finish, as well as other lion dancing related experiences which I collected along the way. All photos are from my personal collection.